Notice how this President receives prayer. What most people miss about Donald Trump, the Left in particular, is that he actually respects evangelicals and believes they are genuine. Other politicians put up with us, this man honors the body of Christ. A rare phenomena in the Oval Office. 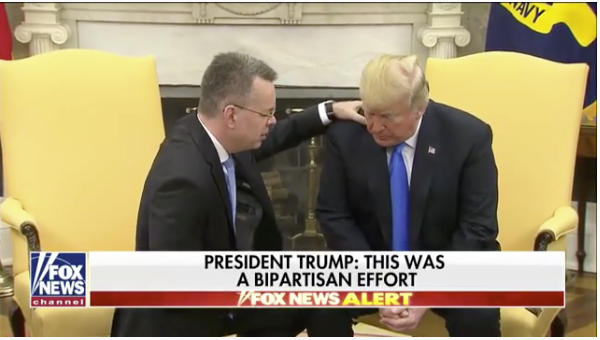 No Comments on "President Trump receives prayer from Pastor Andrew Brunson"